Bottle design in the craft beer industry is a dedicated art within a community of enthusiasts who seek to express the diverse flavors that embody craft brews. The ability to innovate and animate passing fads is a key facet of the craft beer industry. Some trends take hold, some don’t, and those in the industry continue to invent new processes and packaging to build a confident brand identity. Packaging and bottle design get a lot of attention in the craft beer world, and they certainly deserve to, but as you can see from any craft beer section in a store, cans have been trending for quite a few years. The magazine Packaging World has reported that the craft beer industry saw a spike in the use of aluminum cans. In 2012, just 4 percent of craft beer packaging was aluminum cans. In 2017, that figure was 23 percent. 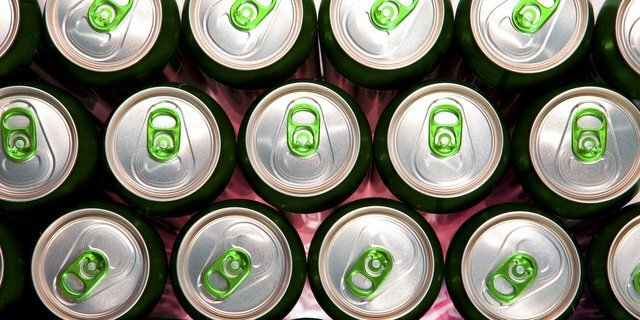 Recent years have seen aluminum can manufacturers driving innovation within the beverage industry, with suppliers focusing on can ergonomics and practical features such as BPA-free linings, slimmer profiles for smaller hands and resealability. These improvements in can technology reinforce aluminum’s already-strong sustainability profile earned for its unparalleled recyclability. And — best of all — cans don’t shatter like glass, so they offer better product protection. The increasing use of aluminum cans for craft beer shows no signs of slowing down, and packaging companies have responded accordingly. One of the more unique packaging solutions to arise from the craft beer craze are advanced six-pack yokes. As a packaging solution, yokes offer greater accessibility on shelves while eliminating bulky cardboard housing. Yokes are a barebones way of shelving the final product, allowing cans themselves to take center stage as the brand identifier. Manufacturers like PakTech have introduced more reliable and sturdy yokes for bottles and cans that are ringless, eliminating harmful environmental damage. As brewers make strides to eliminate excess materials and embrace only the essentials, minimalism is becoming part of the craft brew brand identity. New streamlined designs are waiving unnecessary elements that can clutter a product’s image. And Union, a German-based brewery, began offering minimalistic can designs bearing only the product name. With more and more breweries making the switch from glass bottles to aluminum cans, much of the beer in package stores and grocers are displayed without cardboard packaging. Instead of seeing the box, once the standard for craft brews and large-batch brews, consumers only see the can, giving the craft beer packaging industry a minimalistic flair. The idea that less is more is trendy and clean, and many brewmasters are racing to embrace the philosophy of minimalism to give their product a premium look while adopting the benefits that aluminum cans offer. Different tab alternatives provide additional pop at the point-of-purchase for craft brewers. Colored tabs (like the green ones pictured) and laser-etched tabs are growing in popularity. But what does this mean for the packaging industry? As of now, glass bottles are still the primary mode of packaging craft beer. Yet brewers need be in omnia paratus as the industry moves forward. As the craft beer industry continues to grow, the minimalistic can trend demonstrates an exciting future period of growth for yoke manufacturers, can manufacturers, labelers and six-pack box designers. As the use of aluminum cans paces closer to glass bottles, manufacturers will need to decide which solution to implement — and how to go about it. Craft brewing professionals can explore new technologies from industry specialists including PakTech (Booth S-3082) at the upcoming Pack Expo International 2018 (Oct. 14-17; McCormick Place, Chicago), produced by PMMI, The Association for Packaging and Processing Technologies. PACK EXPO International 2018, co-located with Healthcare Packaging EXPO, gives 50,000 expected attendees access to 2,500 top industry suppliers and over 100 free educational presentations across 1.2+ million net square feet of show floor. Sean Riley is the senior director of media and industry communications for PMMI.